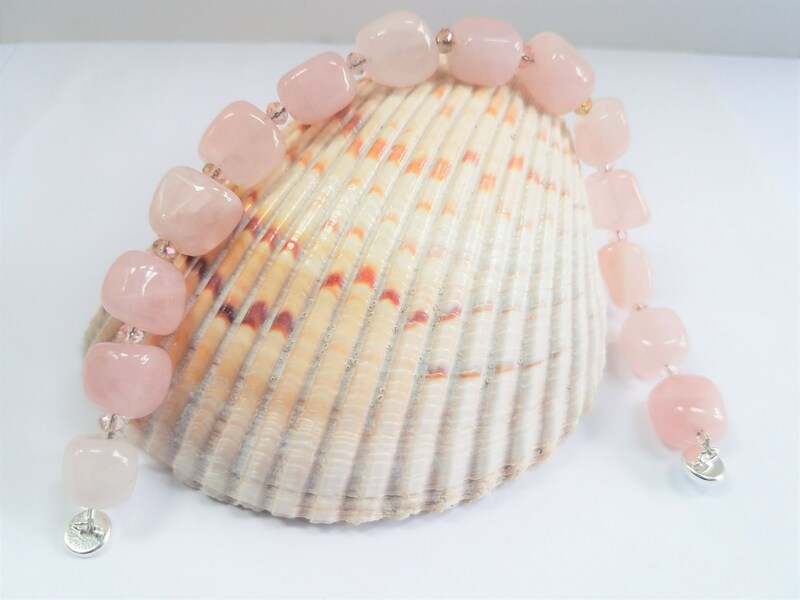 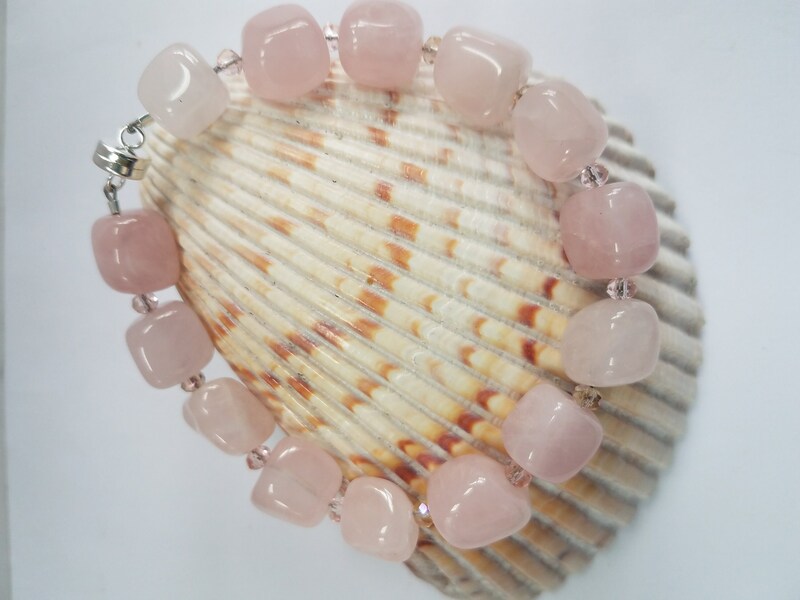 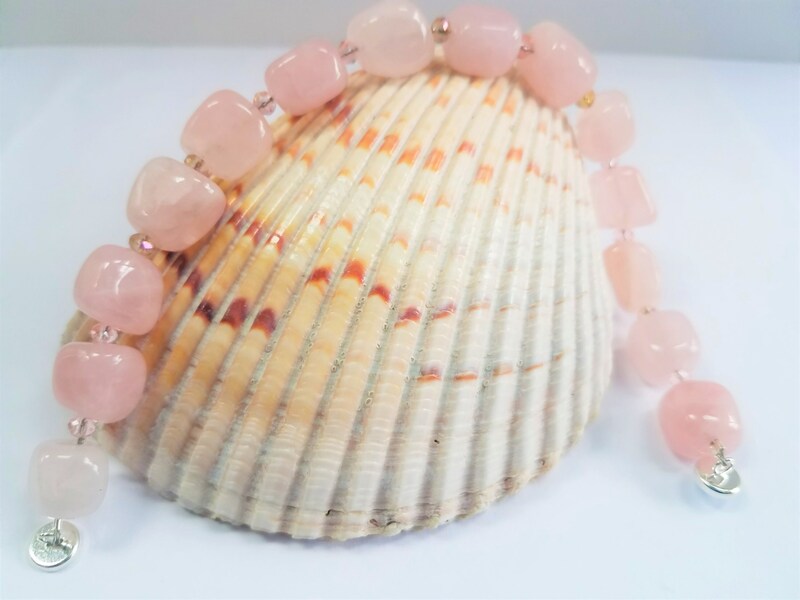 The perfect Rose Quartz Bracelet. 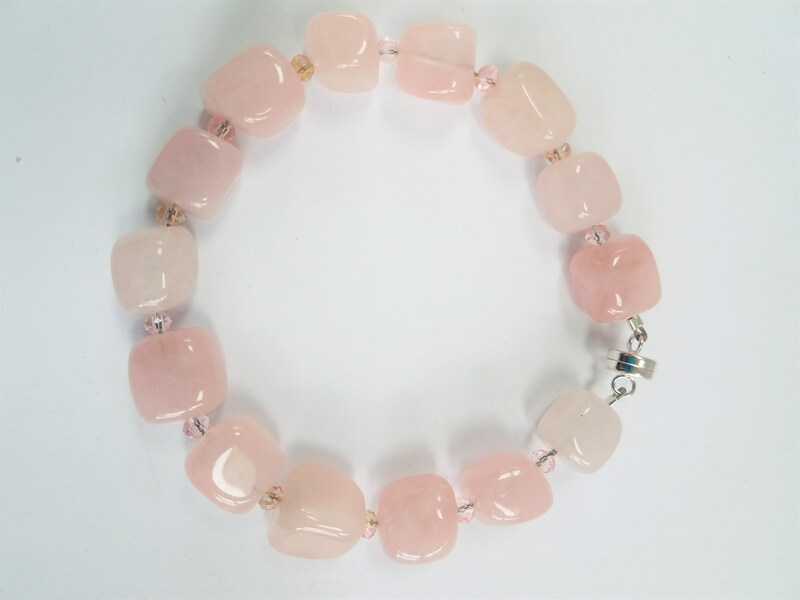 This is hand strung on wrapped wire, tons of carats of this most feminine gemstone, polished so comfortably smooth. 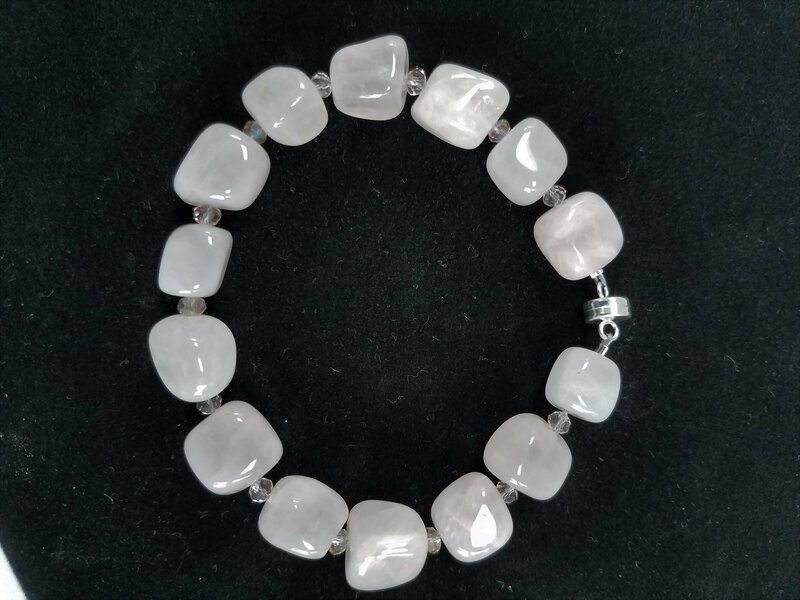 I added sparkling little Crystals (what else?) 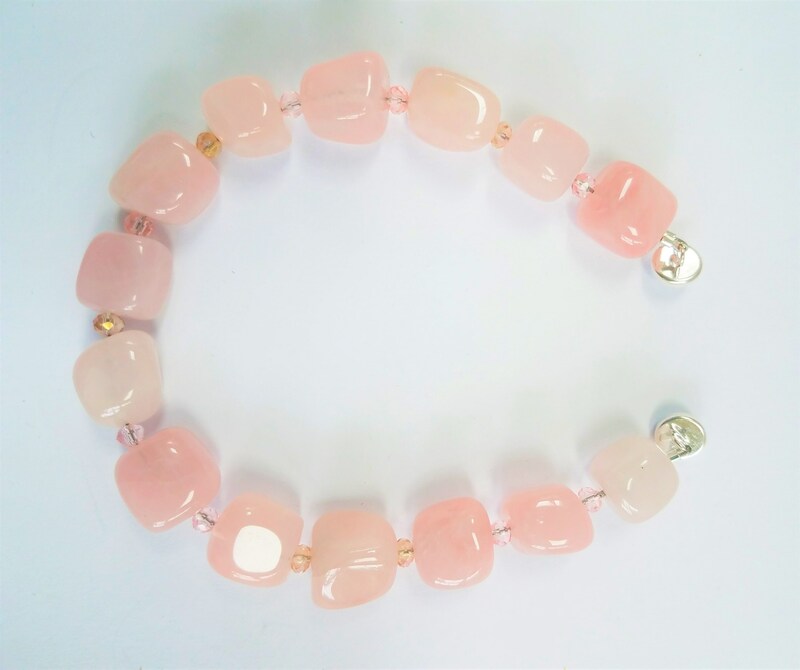 to add twinkle, and the best SS magnet available on the market. 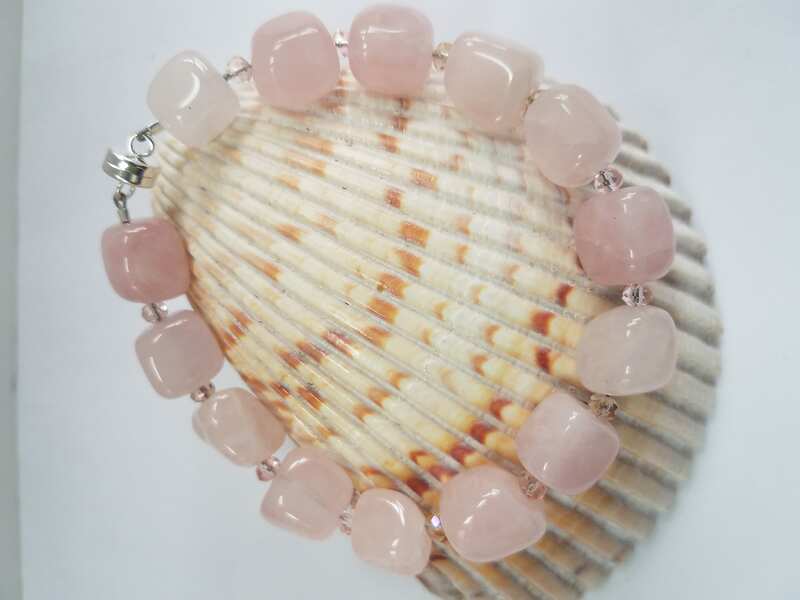 Matches perfectly with Rose Quartz necklace and earring set I also offer.